LAURA2, Laura's Coneflower Thread Holder, Metal Stand, Double Petal. 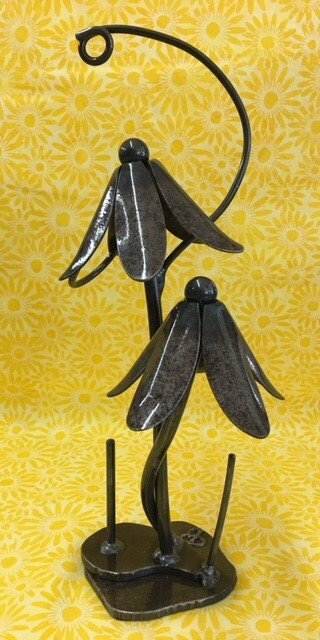 Notions > Stands & Holders > LAURA2, Laura's Coneflower Thread Holder, Metal Stand, Double Petal. Double Laura Coneflower thread holder stand weight's 3 lbs. There are two pins: one for a cone of thread and the other for bobbins. These stands are heavy duty and as cute as can be.